After Edward left Bella later that September, she showed up at Jacob’s house wanting help fixing up two broken down motorcycles. (NM5) Their friendship grew and Jacob hoped that someday they could be more than friends. Jacob and the other wolves tracked down Laurent in the woods and found him with Bella. (NM10) They raced after him, tore him apart, and killed him. 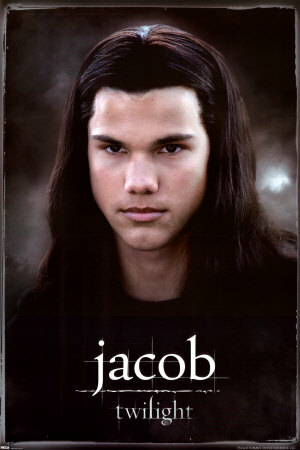 (NM13) Later, Jacob managed to leave a suggestion with Bella that lead her to realize he was a werewolf.